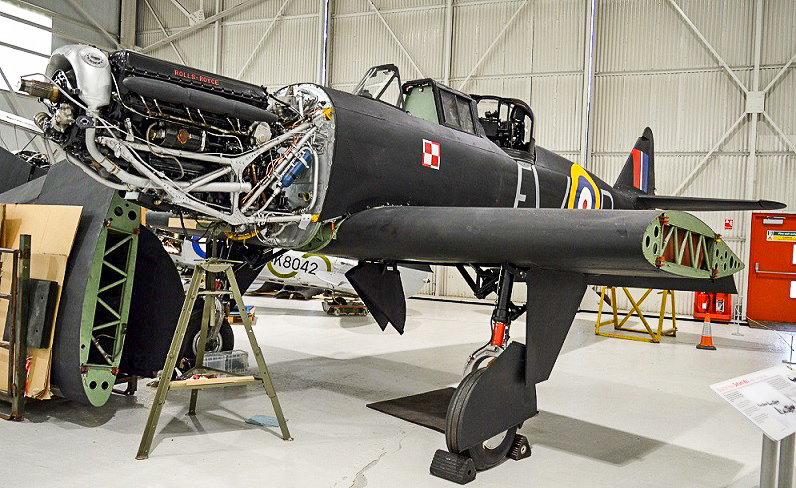 The sole surviving Boulton Paul Defiant, RAF serial N1671, is now fully re-assembled and on display at RAF Museum Cosford in Shropshire, UK. 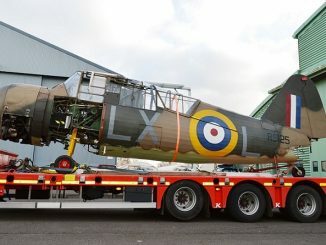 The aircraft arrived from RAF Museum Hendon in London late last year in a disassembled state. 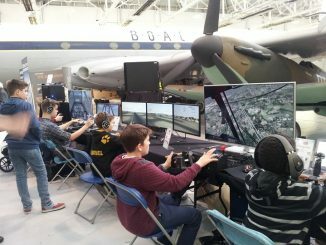 Barring a recent four-year stint for conservation/restoration at the Medway Aircraft Preservation Society near Chatham, Kent, the Defiant had been at Hendon continuously since that facility’s opening in 1972. 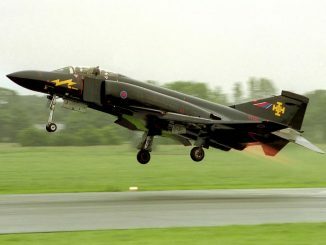 The British pioneered the concept of power-operated gun turrets in bomber aircraft, and adapted the concept to fighter aircraft during the 1930s. 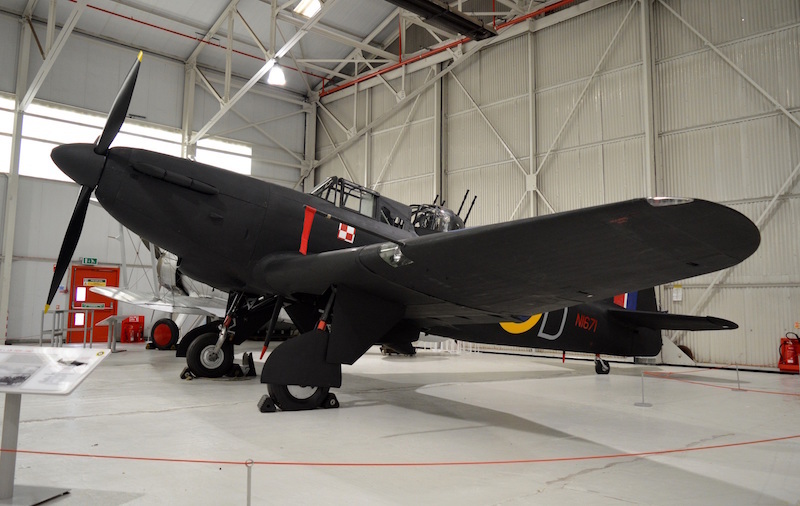 The Boulton Paul Defiant was one of a handful of ‘turret fighter’ designs to make it off the drawing board, and other than the Fleet Air Arm’s Blackburn Roc, an adaptation of the Skua dive bomber, the only type to make it into front line use. The Defiant’s role, as originally envisioned, was to take on unescorted enemy bombers, with the turret making it easy to focus fire on the enemy aircraft as the fighter flew through enemy formations. However, the type had significant shortcomings when facing conventionally-armed enemy fighters. Firstly, they were underpowered, much heavier, and less maneaverable, but perhaps more crucially, the pilot lacked his own forward-firing machine guns. 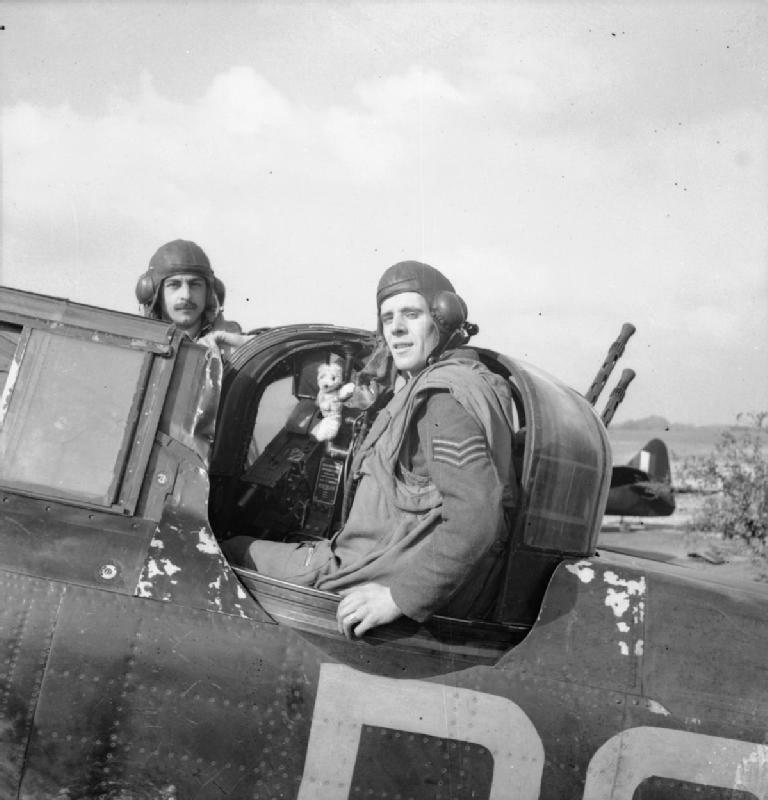 That being said, Defiants enjoyed some initial success during the evacuation of Dunkirk in May, 1940, with unsuspecting German fighter pilots thinking they were attacking a Hawker Hurricane from behind, only to face a wall of lead from the rearwards-facing machine guns. However, the turret fighters were usually easy prey once that ruse was rumbled. Even under the best of circumstances, it was an awkward ballet between the pilot, positioning the aircraft, and the gunner, aiming the turret, for a Defiant’s crew to achieve much success in the air, but a handful of crews did become aces. Defiant squadrons were virtually annihilated during the Battle of Britain, and the type was withdrawn from daytime use before the end of August, 1940. 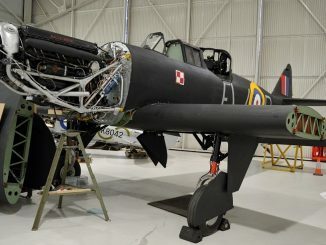 The Defiant then moved into the night fighter role, for which it proved slightly better suited, however, the type did not serve in any combat role beyond 1942. A number of examples did received conversion into primitive electronic countermeasures aircraft to fool German radar and target tugs for aerial gunnery training and other ancillary roles, but the type was effectively withdrawn from use before the end of WWII. 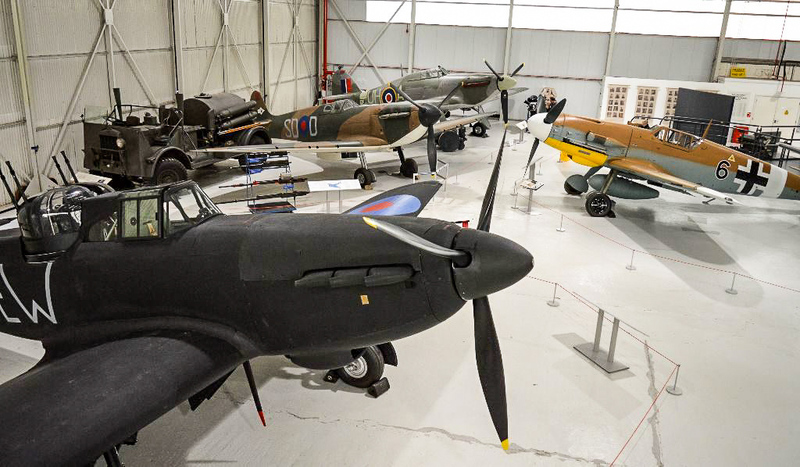 The Royal Air Force Museum’s Boulton Paul Defiant Mk.I N1671 has an interesting history. She rolled of Boulton Paul’s production line at Pendeford, Wolverhampton during the Battle of Britain, officially joining the RAF on August 7th, 1940 with No.6 Maintenance Unit at RAF Brize Norton. The RAF assigned her to 307 Lwowski (Polish) Squadron at RAF Kirton-in-Lindsey in Lincolnshire, on September 17th, 1940. She received the squadron codes EW-D with `A’ Flight. 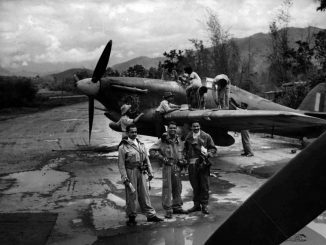 307 Squadron itself was a brand new unit, having officially formed just two weeks prior to N1671’s arrival. They were the first Polish night fighter squadron, although their aircraft still wore their original temperate land camouflage paint schemes. 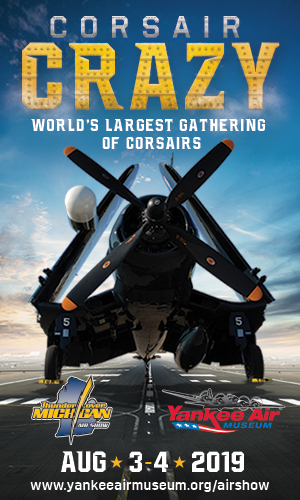 While the squadron worked up to operational status, they also performed shipping protection patrols. N1671 flew its first operational patrol on December 12th, without incident. 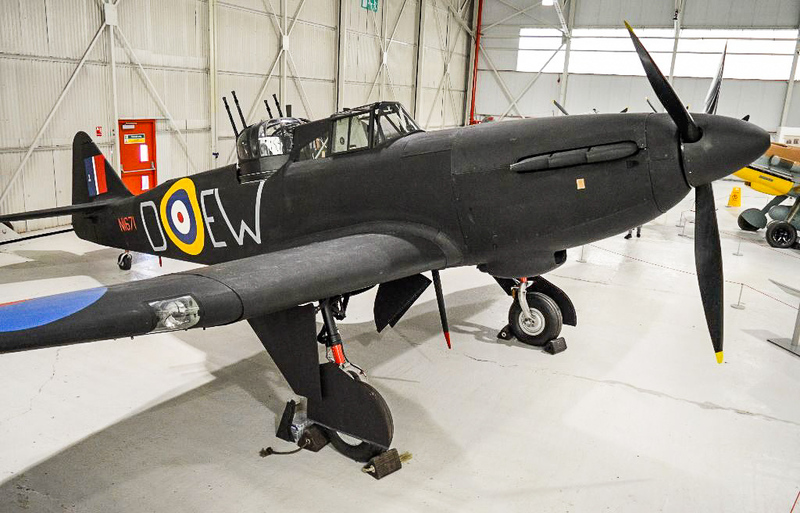 On January 14th, 1941, the Defiant returned to No.6 MU at Brize Norton, alongside three other 307 Squadron aircraft, for the addition of IFF and VHF radio equipment as well as for a repaint into an all-black, night fighter scheme. She returned to squadron service in mid-March, and flew her first operational night patrol on April 8th, 1941. 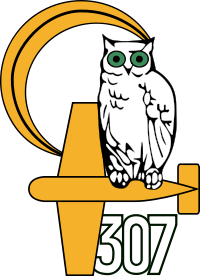 307 Night Fighter Squadron logo. On April 15th, 1941, Sgt.Wisthal flew N1671 on a night patrol and sighted an enemy aircraft. The other plane opened fire on the Defiant, but before Wisthal’s gunner could return the compliment, search lights from below enveloped the fighter, at which point they lost contact. 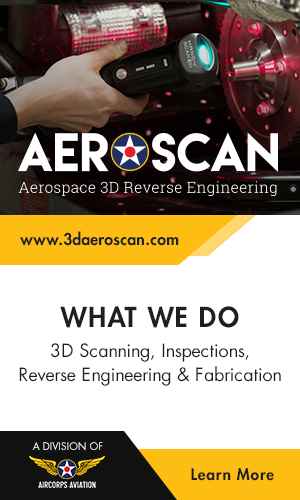 During the recent restoration effort at MAPS between 2009 and 2012, they discovered a few bullet holes in the fuselage behind and below the cockpit which most likely came from the aforementioned incident. N1671 continued to fly night ops until a ground loop incident took her out of action for several months of repairs on June 9th, 1941. However, she did not return to 307 Squadron once airworthy again that October, as the unit had upgraded to the far superior Bristol Beaufighter in August. 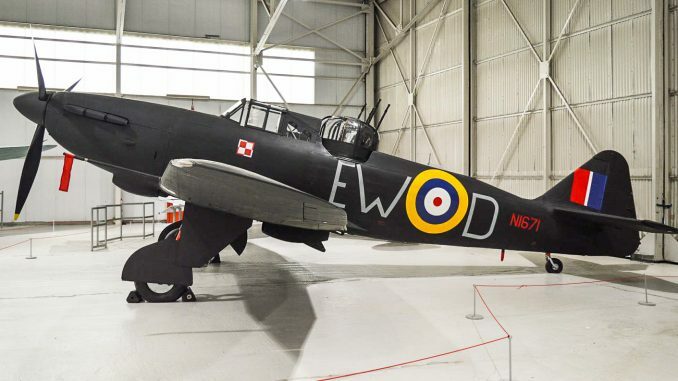 Instead, N1671 moved to No.46 MU at RAF Lossiemouth in Scotland for a couple of weeks before her final operational posting, 153 Squadron in Ballyhalbert, Northern Ireland; a second line unit protecting Belfast, and the last Defiant squadron to form. The Defiant flew just one operational sortie with 153 Squadron, an hour and ten minute long flight on new year’s eve, 1941. This was to be her final of fifteen total combat flights in N1671’s career. 153 Squadron replaced their Defiants with Beaufighters in January, 1942. 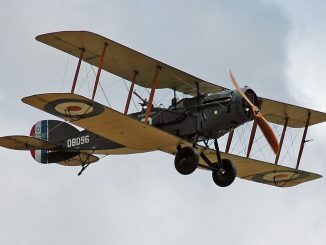 That June, N1671 transferred to 285 Squadron, in Wrexham, Wales. The unit specialized in helping to train British Army anti-aircraft gun crews to effectively target and destroy attacking enemy aircraft. She flew with 285 Squadron until late February, 1943, after which the Defiant returned to her manufacturers for a major inspection. By May, 1943, N1671’s war was effectively over, and she moved to No.10 MU at Hullavington for storage. 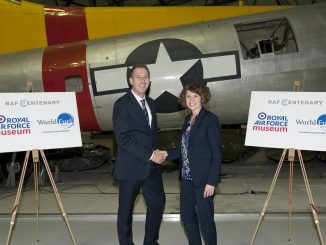 By a stroke of luck in September, 1944, someone at the British Air Ministry was far-sighted enough to order the preservation of a few key airframes involved in the Battle of Britain for eventual museum display. This included three Spitfire Mk.Is, a brace of Hurricane Mk.Is, a Bf 109E, and even a Fiat CR.42. And so all of the aircraft were dutifully disassembled and packed into storage crates. Defiant N1671 remained in her packing crate for the next two decades, the RAF moving her from one storage site to another around the UK. 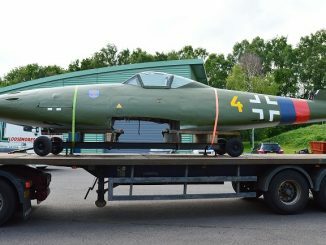 She finally emerged for public display in 1960 at RAF St.Athan, near Cardiff, Wales, although oddly painted in a day fighter scheme, and mis-identified as ‘N1617’. Regardless, this Defiant had beaten all the odds against her survival, and was the last complete survivor of her breed. 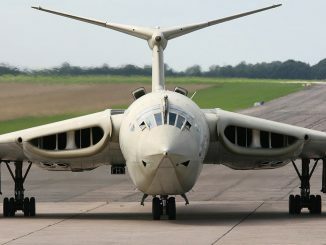 For an in depth history of the airframe, please click HERE to see the official RAF file on N1671. 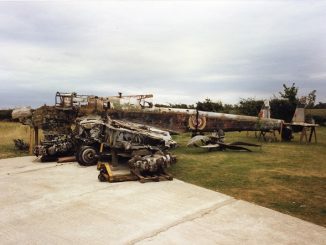 Other than the mostly shredded remains from a couple of wartime crashes, the only other credible representation of the Defiant is a full-scale replica which the Boulton Paul Association built from scratch in the 1990s and early 2000s for the now sadly disbanded Boulton Paul Heritage Museum on site at the original Boulton Paul factory in Wolverhampton. 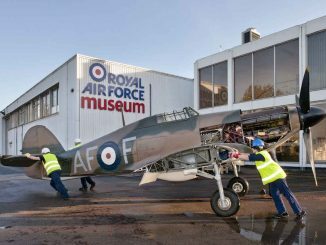 The replica is now on display at the Kent Battle of Britain Museum in Hawkinge, Kent. For further details on this replica, there is a marvelous article HERE about the former Boulton Paul employee, Jack Holmes, who was the driving force behind its creation.